It seems like I’m always doing something different with my hair. From long and wavy to short and layered, I absolutely love to try new things. Currently I’m sporting a long pixie cut, which means I have to use a texturing product or I’ll end up looking like my toddler. I went to the store to pick out some products and I was shocked. Parabens, formaldehyde, fragrance, and many other undesirable ingredients were in every product that I wanted to buy. This is particularly scary because my son loves to put his hands (and mouth!) in my hair. I would never want to risk his safety or health just because I want to look stylish. So instead of purchasing those products, I decided to go home and find a natural solution. I knew that I would need a non-greasy, firm hold pomade that could help keep some volume in my hair all day. Plus, I wanted something that was non-toxic and easy to wash out. Beeswax helps make this pomade less greasy and gives it a nice firm hold. If you find that you need more hold, simply add one more tablespoon of beeswax to the mixture. If you need less hold remove one half tablespoon from the recipe. Coconut oil not only conditions hair, but helps repair it. Plus it fights dandruff! One of my favorite things about coconut oil is that it will be soft and pliable in your hands, but will harden back up on your hair. Its melting point is 76°F. 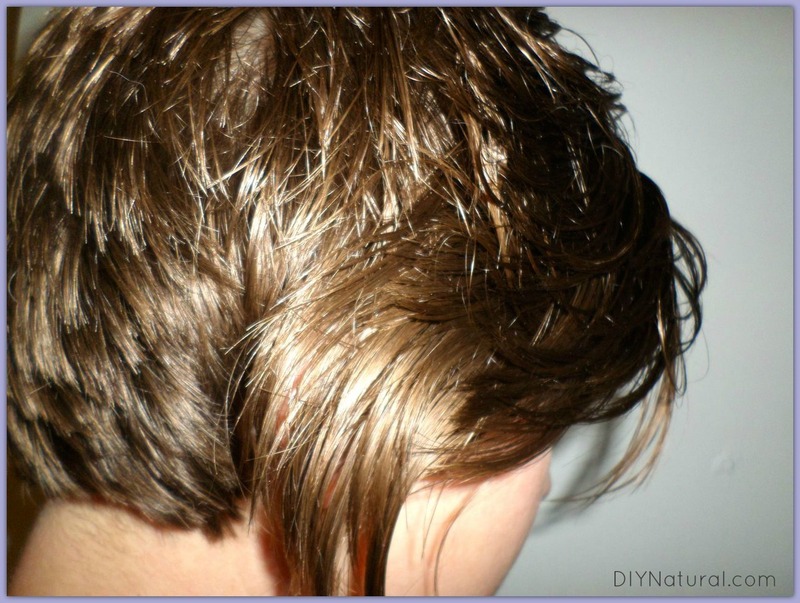 This helps to cut down on the greasy feeling, but will leave your hair shiny and soft. Bentonite clay is a gritty powder made from naturally occurring volcanic ash. 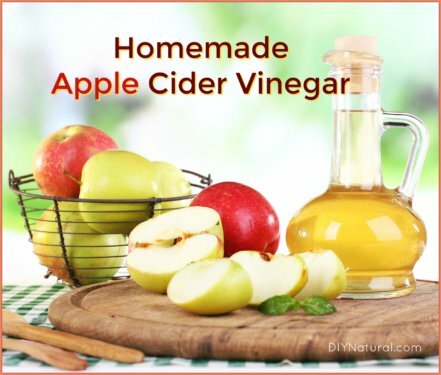 Many people use it in face masks and for other external beauty treatments. It is extremely important to make sure that you get a good quality bentonite clay (look for a gray/ashy color as opposed to white or chalky colors). In this recipe, the bentonite clay helps to give the pomade a gritty, fun texture to play with. Sandalwood essential oil is my favorite essential oil for hair care. It helps to condition and repair hair without drying. Bonus: it smells amazing! Don’t have the time or desire to make your own? If you really want a good, natural pomade, but just can’t make it yourself, DIY Natural recommends checking out the all-natural (for real!) pomade from this company. Add coconut oil and stir until melted. Turn off boiler and add bentonite clay. Allow mixture to cool slightly while continuing to stir. Note: A very little bit of this pomade will go a LONG way. I’ve barely even dented my jar and I’ve been using it everyday for two weeks. For MORE hold: add one more tablespoon of beeswax to the mixture. For LESS hold: remove one half tablespoon from the recipe. For a less oily pomade: add one teaspoon of vegetable glycerin when you add in the coconut oil. You’ll have to stir the mixture as it cools though, because the glycerin will try to separate. This will also help add more texture. 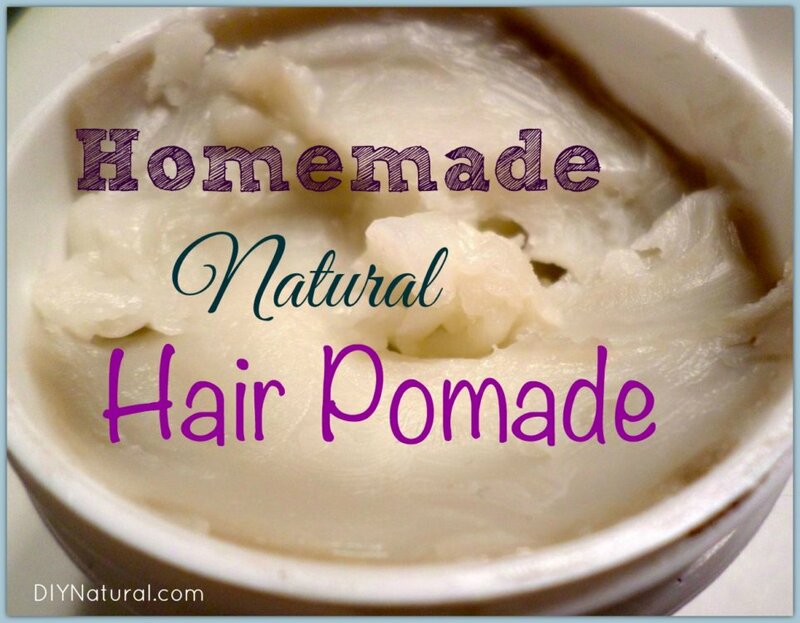 Want to try out more DIY hair products? 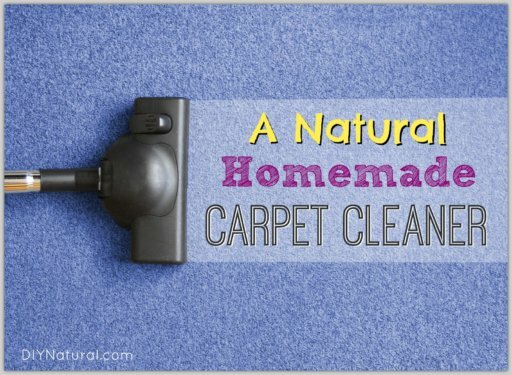 Want natural, but don’t want to make your own? If you don’t have the time or desire to make your own (or DIY hair products just aren’t working out for you), you’ll be happy to know DIY Natural has finally found a hair care company they can get behind. We have used (and love) most of the products from this company, and we highly recommend checking them out. This is a cool recipe! I bet that sandalwood makes your hair smell great. I have looked for bentonite clay and did not find it (I can’t order from Internet). Could I replace it with another type of clay? I have been using organic aloe vera gel to help give my hair some natural volume and style. Perfect timing with this article! I’ve just gotten a new hair cut that is quite layered. However, I don’t use products in my hair so the style has only looked “okay”. 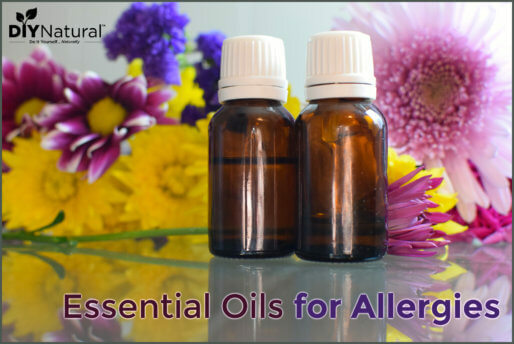 Except for that particular essential oil, I have all the ingredients. Well, I don’t have vegetable glycerin either, so I’ll have to hope that it’s not too oily in the summer heat & humidity. One question… I don’t wash my hair every day though I do get it thoroughly wet each day. Do you know if this pomade will reactivate from day to day or will I need to reapply it? Great question, Andresa. It will stay in your hair from day to day although some might rub off. I normally add a little extra on the second day.